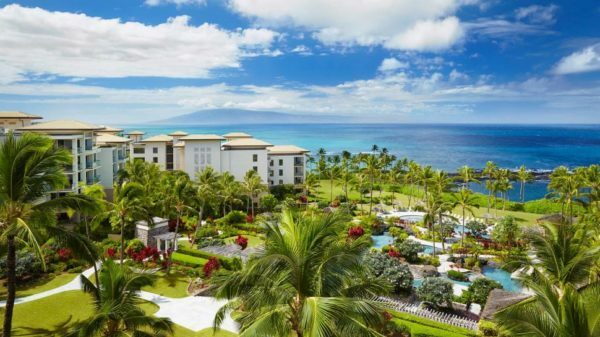 Intimacy and calm in a natural, unspoiled environment await you at the Kapalua Bay Hotel where white sand beaches curve between lava outcroppings embracing the sea. 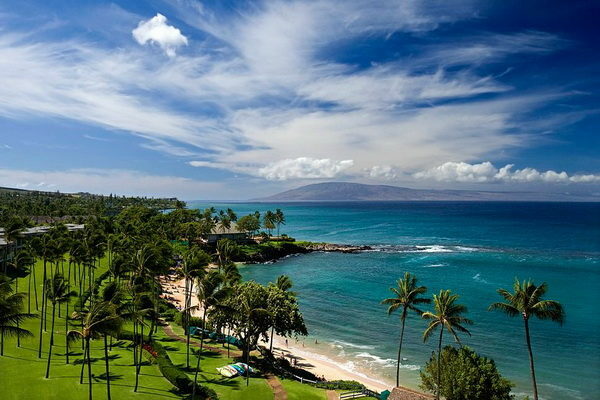 Fronting world-famous Kapalua Bay, on the northwest corner of Maui, 9 miles from historic Lahaina. Easily accessible from both Kapalua and Kahului Airports. The Kapalua Bay Hotel offers 191 open, airy, plantation-style rooms, 3 hotel suites, and 15 Villa Suites above Oneloa Bay. Eighty-three percent of guest accommodations have incomparable views of the ocean and neighboring islands. Garden view rooms open onto tropical floral manicured lawns and vistas of the West Maui Mountains. 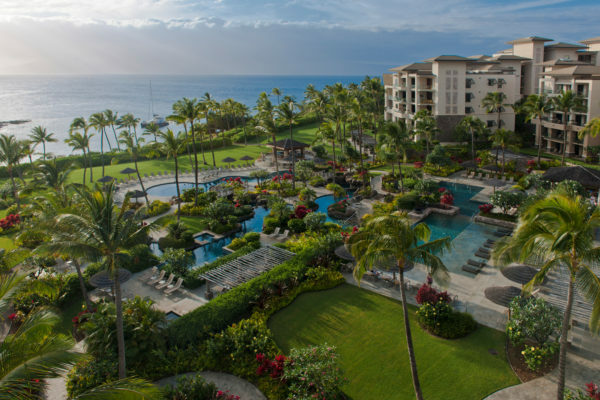 Located on “America’s Best Beach,” the Kapalua Bay Hotel is a paradise for water sports. The Beach Activity Center offers snorkel equipment, instruction and gear, ocean kayaks, rafts, body boards and cabanas. Golf on three distinctive, championship courses. All three courses feature dining outlets and complete pro shops with top-line rental equipment. The Kapalua Tennis Club features two comprehensive tennis facilities. Relax poolside at one of 2 pools and enjoy cocktails and snacks, as well as complimentary chair and towel service. Introductory scuba lessons are complimentary.